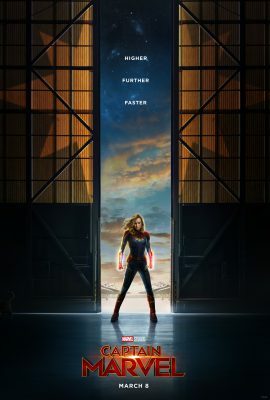 I am SO excited to share with you the first trailer and poster for Marvel Studios’ CAPTAIN MARVEL! 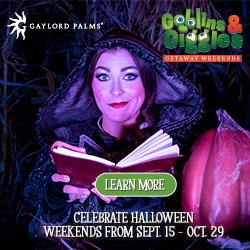 In partnership with the Tampa Bay Bloggers. I have been a Cirque du Soleil fan since I first saw La Nouba in Downtown Disney (or Disney Springs as it is now known) in Orlando in 2000. I feel in love with everything about the show. The music. The wonder. The entire show. I had never seen anything like it. I have traveled all over the country to see Cirque shows. 9 different shows to be exact. They truly are works of art unlike anything else I have ever experienced. From Vegas to NYC, and cities in between, Cirque du Soleil shows will never disappoint. I am excited to be on board as a Tampa Bay Blogger to see my 10th show, VOLTA, coming to Tampa February 14, 2018 – March 18th, 2018. Cirque du Soleil VOLTA, written and directed by Bastien Alexandre and with Jean Guibert as the director of creation. International electronic group M83 as composer and musical director, brings his space-age future pop sound to the Cirque du Soleil stage for the first time ever. The show will be presented under the Big Top at the Tampa Greyhound Track February 14, 2018 – March 18, 2018. The name VOLTA refers to a sudden about-face, a change in emotion or idea often used in poetry. It also speaks to the jolt of energy delivered through the show. OMG!! I can’t wait!!! Annnddd…. I am giving away a set of 4 tickets on my Instagram account and I hope you’ll hop over and enter! I can’t wait to see it opening night! Make sure to follow along for a sneak peak of opening night! Yes, my loves, Valentines Day is upon is. Time to plan a most romantic date for you and your lover/ friend/ spouse/ best friend/ etc. But let’s be real about this day… You all know I have 4 kids and no time. Not saying that I wouldn’t want to do any of these most romantic things (because I seriously do), but seriously, I can barely find the time to take a shower and go shopping for an outfit, much less plan a much much MUCH needed date night for me and my man. So here’s the deal. 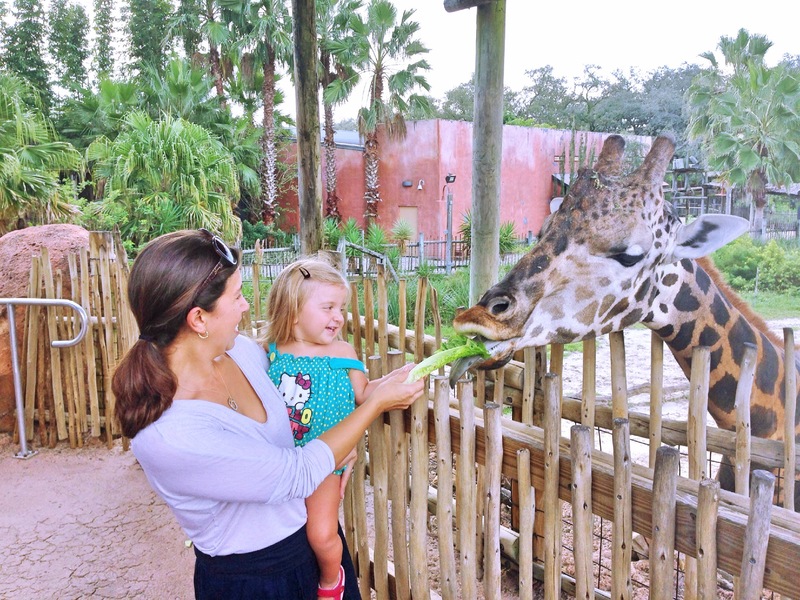 This is my super awesome Most Romantic Things To Do in Tampa list that if and when I ever have the time, this is where I am going. I hope you will love all these date night ideas! 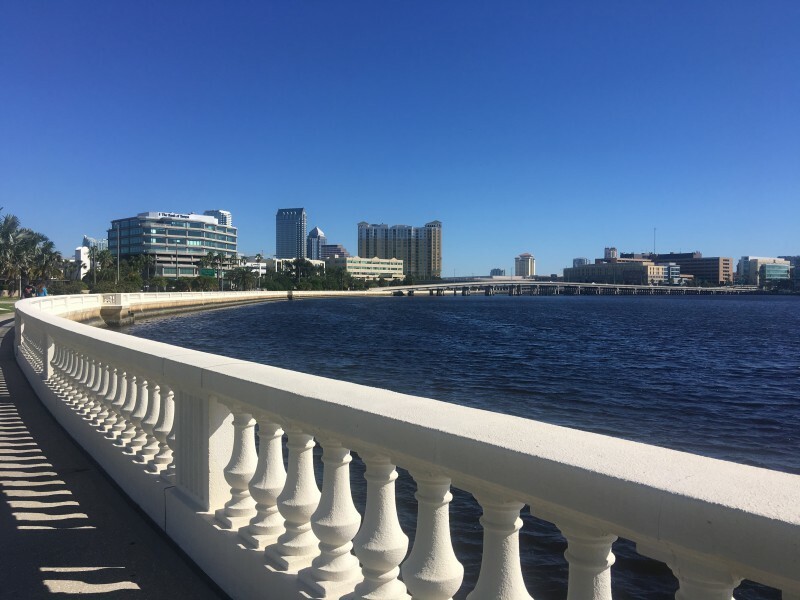 The Tampa Riverwalk is the hottest new place to be. 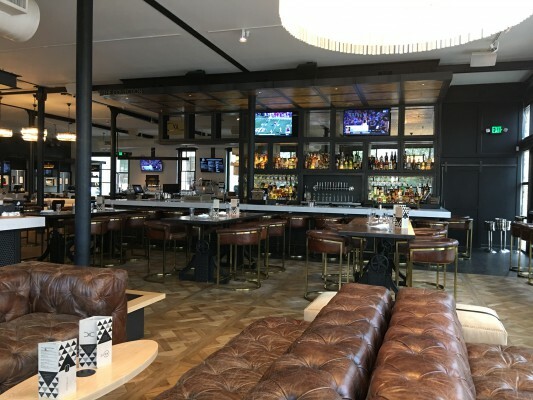 With a gorgeous view of the Hillsborough River and a new hot spot, Armature Works, along the river, this date night will be amazing! Grab some drinks from Cru Cellars and sit under the stars on the patio at Armature Works and start the night out right. 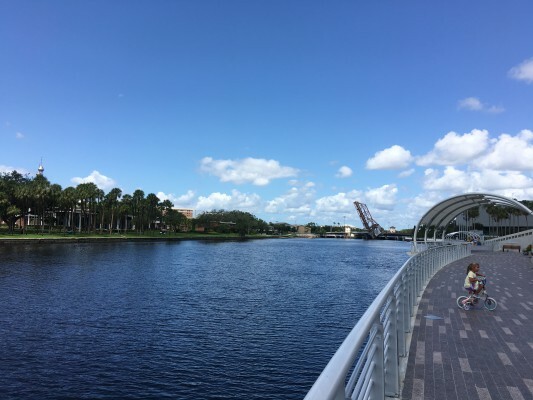 Walk over to Ulele (read all about why Ulele is my ultimate date night restaurant here) and dine with waterfront views and the most delicious food. Stroll along the river to Downtown and catch a Downtowner car back to grab your car. The new Hall on Franklin has some delicious new taste options for everyone to enjoy. Casually grab a lux couch and sit down and relax. Walk over to Hidden Springs Ale Works and enjoy a locally crafted brew and just chill. 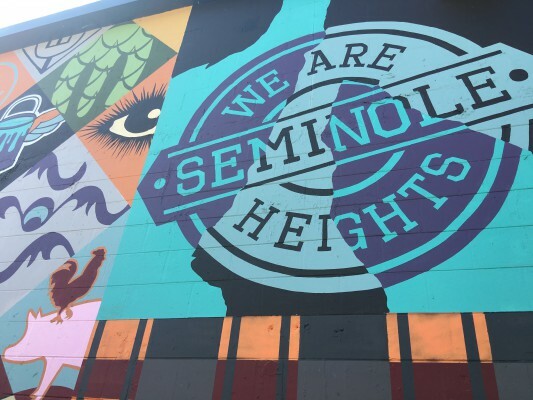 Have a fun night together exploring a little bit of pure Tampa in Tampa Heights! Of course Bern’s Steak House will always be a top restaurant in my books (and many others) but dressing up for the occasion is always more fun when the ambiance will help set the mood for this uber fabulous date. Dress to the nines. Make it a real date. 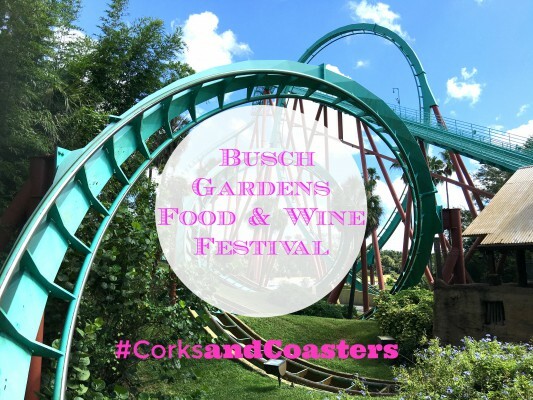 Dine on the finest food and sip the finest wine. After your meal, a must is the Harry Waugh Dessert Room, where you’ll order a banana fosters to share. The best of Tampa Bay is right here. One stop. Our favorite date night restaurant is in our little neighborhood, tucked away about 5 miles north of the city. Rooster and the Till in Seminole Heights has made quit the impression on the food scene in Tampa Bay and beyond. Quiet yes, but you’ll definitely need a reservation to make this date night happen. Plan ahead and make that reservation for two. (Especially now that they just made the Tampa Bay Times top 50 Restaurant List). I have never had a bad meal here and we love every new item they add to the menu. It will not disappoint. If you are looking for a night cap, the Independent is a fun spot to go an have one more before you Uber home. 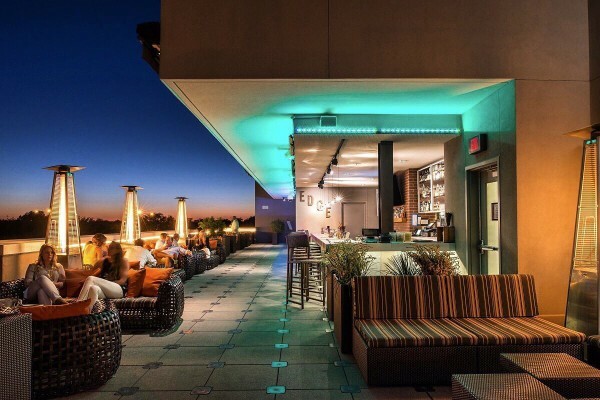 If you love a rooftop bar, Edge or Bulla Gastrobar is where you’ll want to catch a famous Florida sunset with a hand crafted cocktail to start your night. Indulge in a fabulous four-course tasting menu designed by the two-time James Beard nominee Executive Chef Chad Johnson at Epicurean’s signature restaurant, Elevage. The menu is being offered from 5:30-10 p.m. Stay the night in the sweetest hotel, The Epicurean, right in the heart of South Tampa as you escape reality for just a night (along with the kids.) Sweet dreams love birds! My favorite spot in Tampa Bay for Sushi is Samuri Blue in Ybor City. Slightly off the beaten path, the sushi is fresh and unique and the atmosphere is quite and intimate. 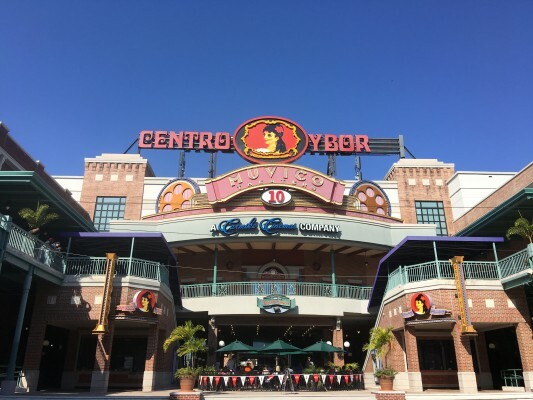 Afterwards, walk over to Centro Ybor and see a romantic move…maybe the new Fifty Shade Freed*?! It opens in theaters everywhere on February 9th! Sounds like a perfect romantic night to me! Lots of ideas and I have personally been too, seen and have dined at all the above. If I recommend it, I truly love it and wouldn’t say so otherwise. Enjoy your romantic night on the town in Tampa! *I partnered with Universal Pictures to bring you this post. I was invited to the Fifty Shade Freed screening. As always, all opinions are my own. I have been waiting for this movie to come out since the first Bad Moms movie debuted! Not only do I consider myself a member of the Bad Moms Club, but I couldn’t agree more with this hillarious movie and how they depict our daily lives of chaos and triumph! I know I want to see Bad Moms Xmas with a few of my closest Tampa Bad Moms for a Bad Moms Night Out! If you didn’t see the first movie, I can verbally replay the movie for you because I have it memorized! It is my sanity on a rainy day. And this new movie I am sure will not disappoint! How many of you are overstressed about having to make the holidays “that perfect” along with all the pressures of doing “all the things” for Christmas! HOLLLLAAAA!!! Come watch the what I predict will be one of the best holiday movies of the season! Can’t make the screening, buy your tickets today and go see it with your own Bad Moms Club! A BAD MOMS CHRISTMAS follows our three under-appreciated and over-burdened women as they rebel against the challenges and expectations of the Super Bowl for moms: Christmas. And if creating a more perfect holiday for their families wasn’t hard enough, they have to do all of that while hosting and entertaining their own mothers. By the end of the journey, our moms will redefine how to make the holidays special for all and discover a closer relationship with their mothers. Edited: As of 3pm on October 24, we were informed that the previously scheduled Tampa sneak preview scheduled for October 30th at AMC Veterans was canceled by STX Entertainment. We were told that they will not be hosting any sneak previews for this movie. 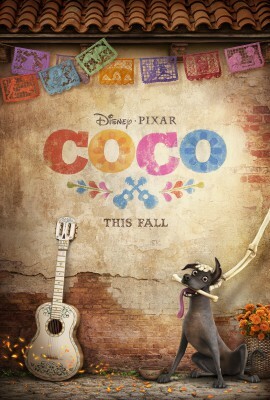 I recently saw this trailer for COCO, a new Disney Pixar movie. I was immediately frozen. I believe in signs. I have for a long time. I look for the good ones that tell me those that have gone before might still be here, watching over me. This movie is a sign. You see, my first sign with this movie is that my father’s name is Ernesto. He left this Earth far too early. Leaving behind two young daughters with only memories of his voice. The La Voz de Oro. And that is my second sign. He was also a singer in a marichi band and had a voice of gold. That’s what we put on his tombstone. 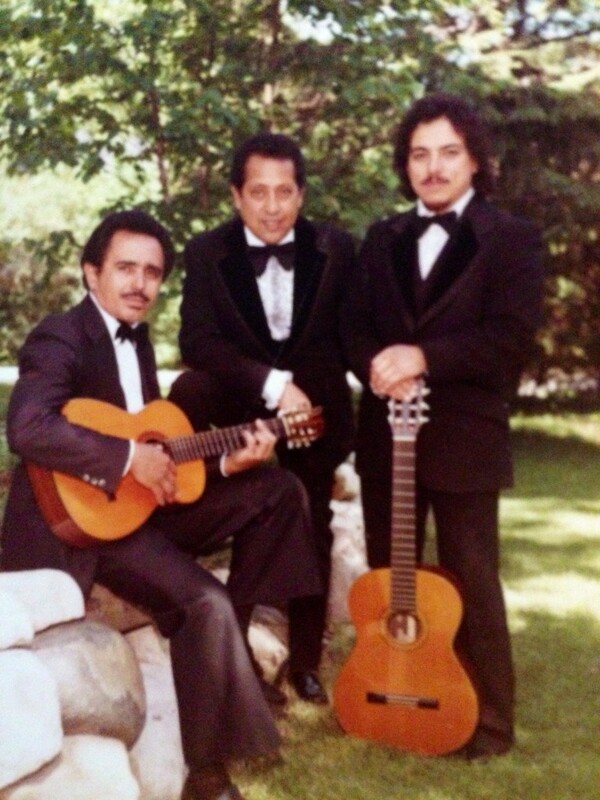 My Father, Ernesto, is center. So already, this movie is speaking to me. Miguel (maybe the character would have been named Marisa if he was a girl) and his magical guitar, searching for answers on dia de los muertos, has so many symbolic reasons that I cannot be more excited to see this movie. Count me in for front row seats to this movie. My Mom’s birthday is November 2nd, Dia de los Muertos. 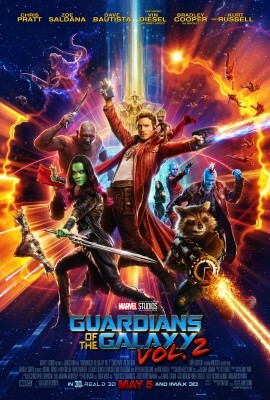 This movie is due out in November. Coincidence? I’m hoping she and my sister will come with me to see it. “We are all a part of those that came before.” Never has a movie ever spoke to me this one. I have become a movie junkie with my kids these days! We have started to really dive into movies together as a family. We have loved watching the movies come to life when we visit places like Disney Hollywood Studios in Walt Disney World! 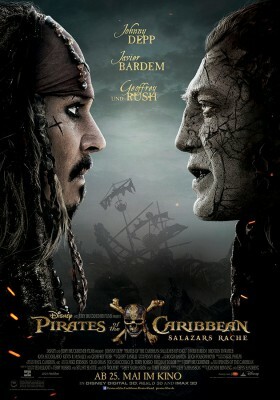 We can’t wait for Pirates of the Caribbean: Dead Men Tell No Tales to hit theaters May 26, 2017 in 3D, RealD 3D and IMAX 3D! Here’s a new look! As we start to plan our summer vacation, a am thinking a Caribbean trip might be in order! My ladies got a sneak peak of Smurfs: The Lost Village, we just absolutely LOVED it! We are totally on Team Smurf and hope that Smurfette will consider running for President! We can’t tell all the smurfy details about the movie yet, but when you see in theaters April 7th, you are going to LOVE it! Don’t forget to take a #SmurfSelfie with your movie crew too! And if your kids are now obsessed with Smurfs as much as mine are now, you’ll want to check out my Smurf Movie Pinterest Board! Have fun with your next party!